If you follow it back you should actually find a little solenoid with two lines going to it, you can take out the solenoid and replace it with the boost controller. Jello, is that your car in the photo? You have a retarted looking distibutor, completely different to mine. yeh luke that's mine allright. Photo's from when I first got the car and asked exactly the same question sinner did. Your's has the plugs pointing sideways right? I'm not sure if it's a series 2 blacktop thing or if it's a dizzy cap off a de pulsar or the like. My leads only just fit on because of it tho. Yeah, Just bought a new one too from the wreckers... NA N14 SSS Dizzy is the correct one. picking up the car tomorrow if all go's well.. just found out it has a crack in the windscreen..im assuming i will have to get that replaced for a rwc? hey guys,will a bov off any of the sr20dets go on an sr20det from the bluebird? i need a stock bov to pass vicroads. or is there another away around it? currently has a hks ssqv which obviously isnt legal lol. Any of the east/west ones will, not sure about rwd ones - although I doubt it. 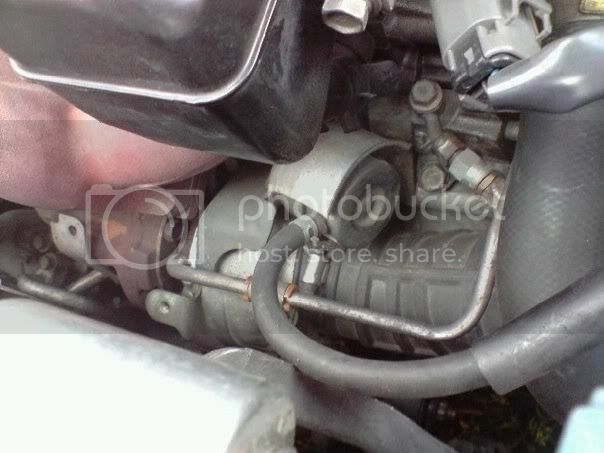 anyone know of a decent cheap LEGAL bov? 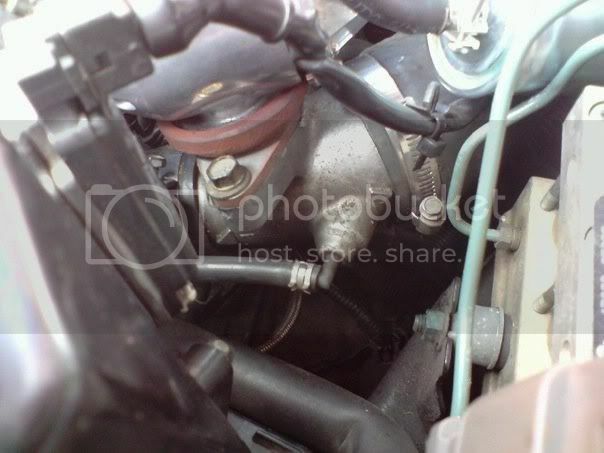 or have a stock bov for cheap? seeing as you have the car now... where are the pics? When you get the stock BOV on it, leave it on there, it will go much better for it, aftermarket Atmo bovs will stuff up your AFR's when you change gears. apparently the suspension is illegal and so is the bov..which i knew the bov would be but i dont know why the suspension is illegal. gotta give him a call today. who wants to get rid of there stock bov? only thing it does say is that you need an approval cert, so maybe go to an engineer with all the info from the manufacturer and they should give you a cert no worries, just coz its a modification. think my dads mechanic will probs do all that for me..and couldnt i just bypass the bov thats on the car already so its not venting into the atmosphere? would take it make it legal or nah? the guy is ringing me tomorrow so will let u's know what happens..i just wanna drive the damn thing!! lol still gotta book in at vicroads...DOHH!! Just take it off and block it with a piece of metal, problem solved. ok im getting super pissed off now...the mechanic is saying the suspension is illegal cause its too stiff...thats sounds retarded to me...? If your positive that it is only 1 piece of hose with no T pieces in it, just cut it and pop it in. 100% sure there is no t piece on that tube from the waste gate actuator..i will upload some pics anyways:) i like to completly sure of what im doing lol. not sure why the pics didnt work..
Yeh, that's the right hose. iirc the solenoid was attached or very very close to the air box, so if your car has a pod filter it was most likely taken out of the equation when the airbox was taken out. i put the boost controller in my car..literally took 30 seconds..i cut the tube with a pair of scissors and put it in between..easy..... i accidently boosted it to 18psi..lol it fuel cut or something..didnt like that..but runs awesome at 15 psi..well its more like ts on 13-14 psi..but it spikes to 15 psi ..
i got a question...the car feels slow as a mofo under 3500 rpm..and only really feels fast fast just passed 4000 rpm.. ididnt think the turbo would feel that laggy. is that normal for the stock turbo? thats alot of boost on the stock T25G... especailly in summer. set it to 12psi to be safe, we don't want your next post to be "bluebird busted"